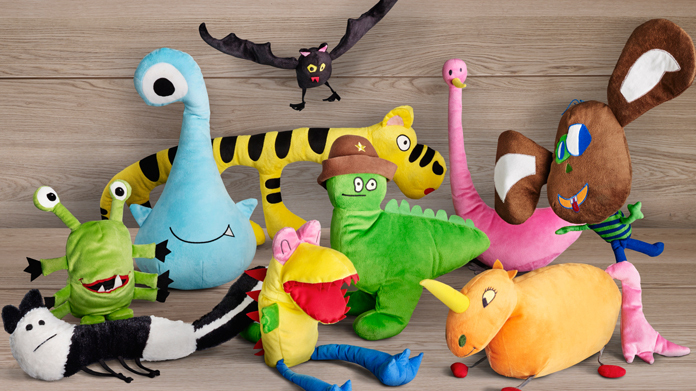 This time last year IKEA held a drawing competition with the promise that ten lucky winners across the globe would be picked to have their drawings made in to real toys that would be sold in stores worldwide. This week we launched those toys, which are (we kid you not) a direct copy of the drawings … down to out of proportion ears, teeny legs and whimsical expressions. When the story is this lovely, the job is simple, and the coverage has flown with the likes of Metro, Independent, ITV and The Sun running the story from a national perspective. Lifestyle sites including Buzzfeed, MSN and HuffPo have picked up the story. Trends sites including DesignTaxi, Bored Panda, Pulptastic, MentalFloss, PopSop and Gizmodo weighed in and covered a story that is building natural momentum with every hour that passes – this one really has gone truly global. Children designing for children really does appear to be the way forwards … and we love it.